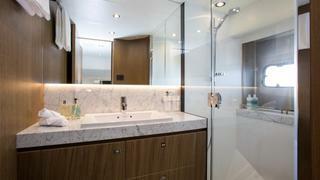 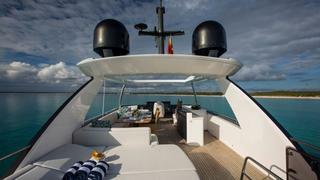 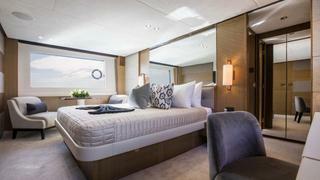 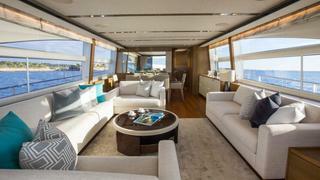 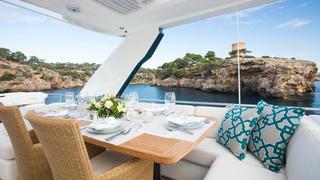 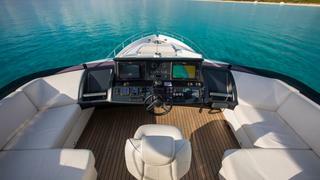 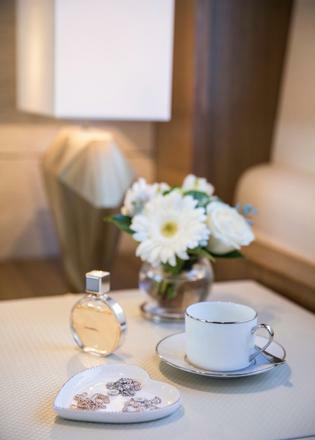 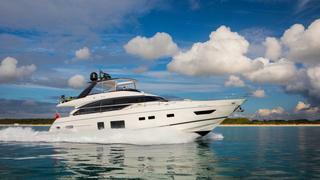 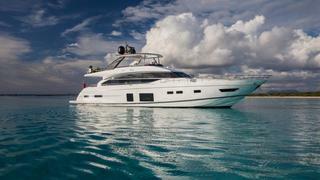 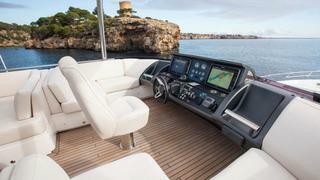 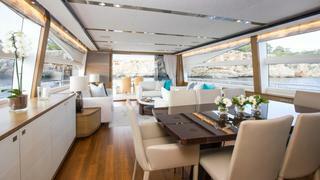 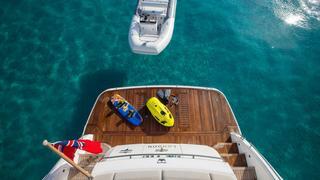 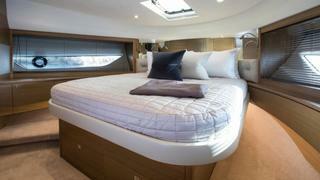 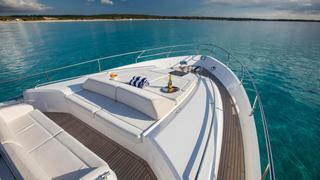 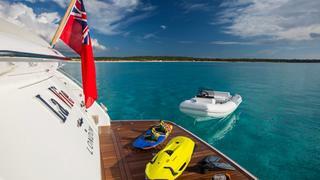 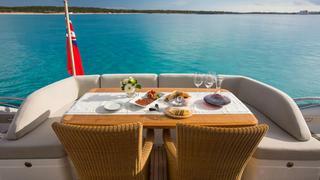 La Vie is a truly stunning yacht with a bright, airy and spacious interior. 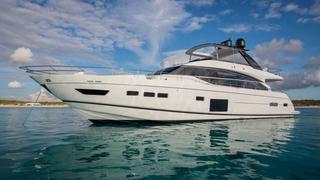 With fantastic deck spaces and an abundance of sun pads she features all the elements necessary for a perfect luxurious charter in the Balearics. 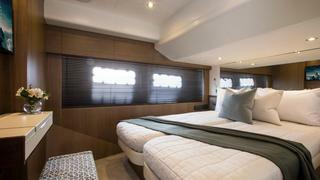 The main saloon is bright and spacious with a modern contemporary design with cream and white soft furniture. 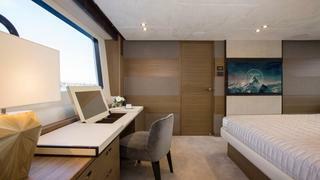 In the saloon there is a 50" retractable LED TV (Samsung) and FUSION MS-AV700i Radio/DVD/MP3 player with Bluetooth facility. 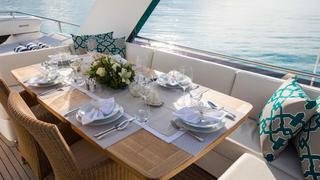 Forward there is an elegant formal dining area which can comfortably seat 8 guests. 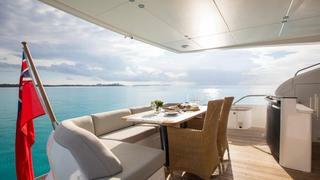 On the foredeck there are large sunpads and a seating area for those really looking to maximize bronzing opportunities.